American Video Group is a full service production company engaged in the highest quality of video productions for broadcast, commercial and corporate communications. Your complete production solution. Our award-winning creative team transforms concepts into polished and effective productions, from scripting and storyboards to shooting and editing, we turn projects into exciting and effective television. For nearly 30 years, we have put special emphasis on the planning and producing of a vast variety of programs. Our internal mandate is to make each production an experience of extraordinary quality. At AMERICAN VIDEO GROUP, our diverse experience with advertising translates into programming that leads to explosive sales. As a production/marketing hybrid, we have applied our expertise to more than 100 direct response television campaigns. American Video Group is dedicated to developing brands, so that they have the recognition, positioning, and marketing to become a success in the world marketplace. American video group is world famous for its DRTV campaigns. Clients from all over the world come to Los Angeles to shoot their DRTV infomercials with us. With 20 Years of television production experience, American Video Group has created a wide variety of entertainment programs. Studies have shown that on average you have between 8-10 seconds to keep a potential customer on your website once they have landed. Utilize corporate web videos to trigger their acceptance of your company. Video can inspire potential customers to delve deeper into your website and learn more about your services. In-depth videos that concentrate on specific aspects of your business can pull your visitors into different parts of your website and create a direct response. American Video Group has produced videos for a wide range of business sectors including: Image, Education, New Products, Training, Fund Raising and Manufacturing. American Video Group offers state of the art online avid editing, the industry standard for post production. Our digital audio voiceover and sweeting studio lets you enrich your project with the highest quality sound to accompany your project’s visual design. AMERICAN VIDEO GROUP is a complete one-stop shop of experienced professionals who consistently deliver the highest quality video production work without compromise. What may be of particular interest is our company’s range of expertise with a variety of corporate projects. From training to product marketing, AVG helps clients create and deliver targeted Corporate Communications to a diverse audience. In addition to Corporate Videos and Direct Response advertising, AMERICAN VIDEO GROUP has several areas in which it provides services. Complete video production from concept to completion for a variety of clients including Television Networks and Fortune 500 companies. 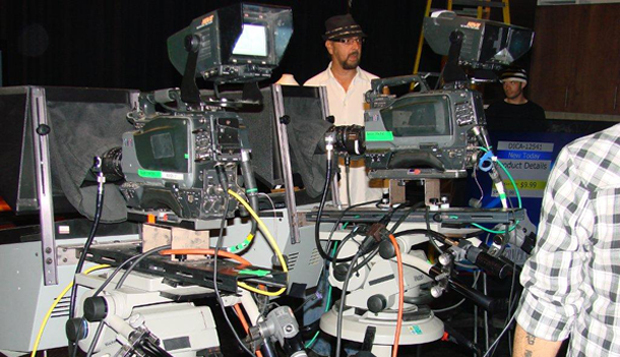 Production services, which includes the rental of High Definition and Digital broadcast quality video equipment and crews with a primary emphasis on camera equipment packages, and seasoned professional technical crews. Editorial including, Avid and Final Cut Pro nonlinear editing equipment and editors.